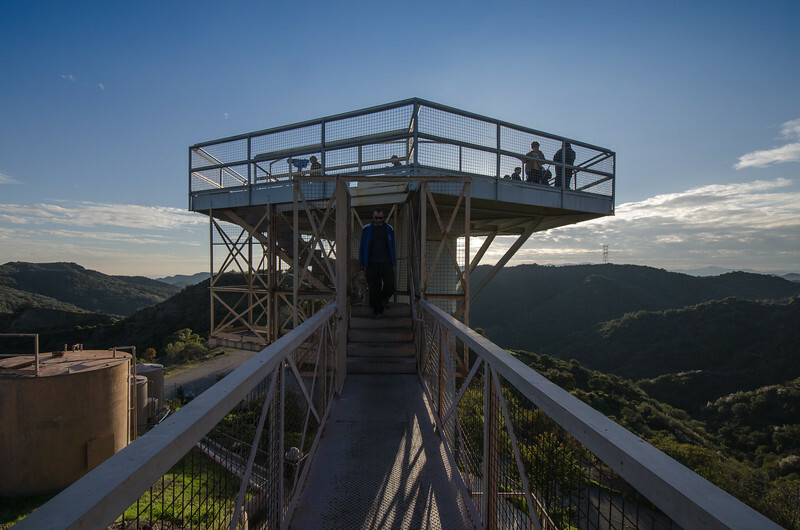 The old Nike missile radar tracking station in the Santa Monica Mountains above the Encino Reservoir. Yep, through the '50s and into the '60s, our military had these kind of sites around the state on the lookout for Soviet Union nukes headed our way. 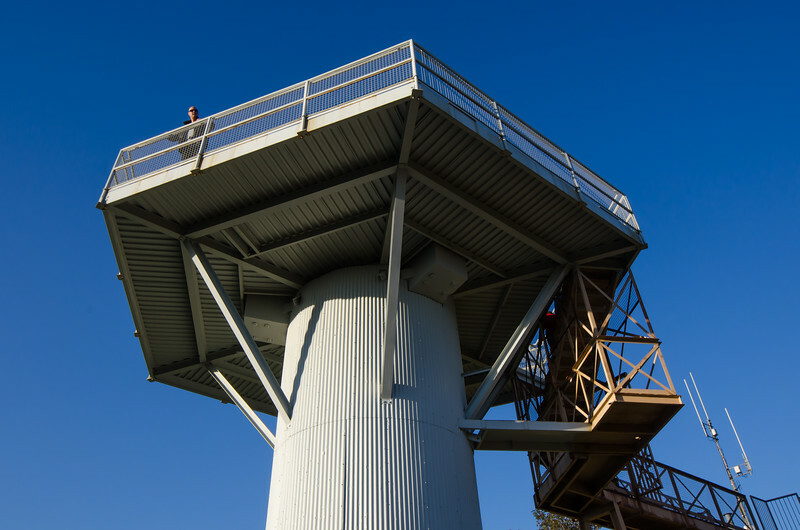 There were also a series of launch sites around the L.A. area, although this wasn't one of them. Here's an L.A. Times story about the site being rechristened into San Vicente Mountain Park in 1998. The views are pretty amazing of the L.A. area although I did a poor job of capturing them -- only having the 10-24mm wide angle lens with me. But this gives you an idea of what's up there -- and why you'd want to be here on a super clear day. The first photo below is looking east toward the San Gabriel Mountains. 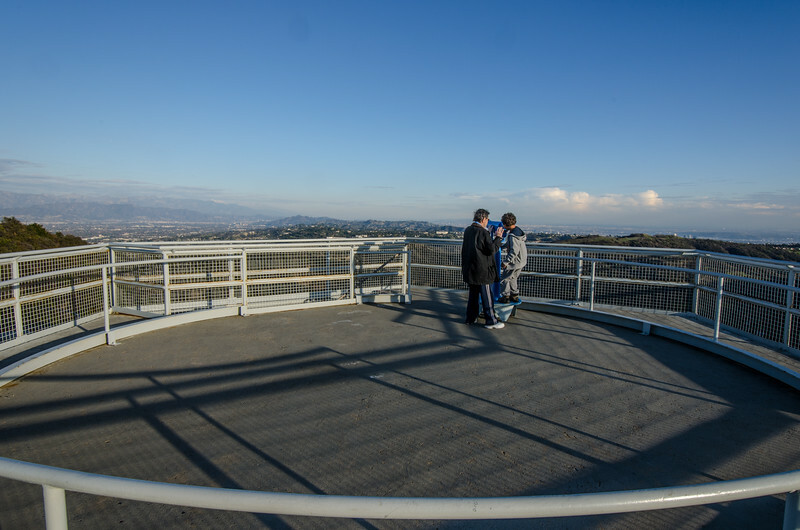 Below is the view of the Encino Reservoir and the western side of the San Fernando Valley. You can reach the site by car by driving Mulholland Drive west from the 405. The better way -- on foot -- is simple: follow Westridge Road until it dead ends and turns into a fire road (there's a small dirt parking lot beyond the stone gate). From there, it's about a three-mile hike to the Nike site. You can see it from about a mile away. It's a pretty easy hike, but there's some uphill and downhill in both directions. Check out my SmugMug site for info on prints and licensing and follow me on Twitter. These photographs are ©Steve Hymon and may not be used elsewhere without advanced written permission from Steve Hymon.